Additional products | Evotronics Kft. 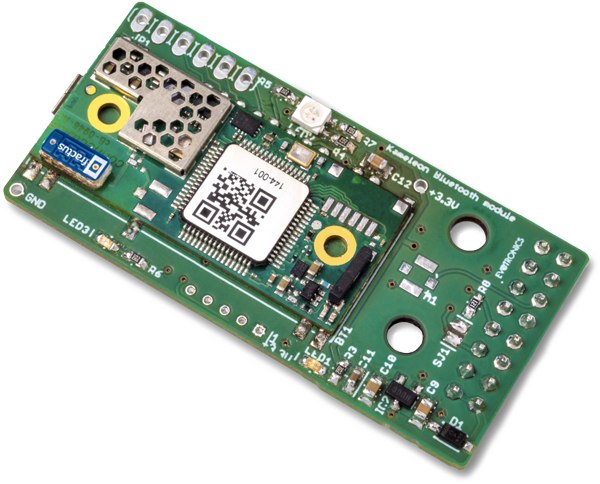 With the help of the Kameleon WIFI Module, the Kameleon System becomes controllable from the smart phone application, which can be reached from Android or IOS environment. If the system consists of more Kameleon Light modules it is enough to complete one with a WIFI module, which is an individual unit and collects into its own database those information, which are coming from the CAN bus of the Kameleon system, then forwards it to the application, and forwards the orders coming from the application through the same bus to the modules. The Kameleon WIFI Module connects to the Kameleon server, so for this mode, internet connection is a must. 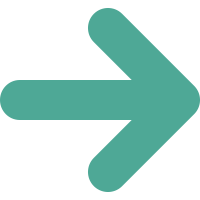 The application reaches the given Kameleon system through the server, so the system can be controlled from anywhere in the World. Registration is needed for operation, so only those people will control the system who are entitled to do so. The Kameleon WIFI module connects to a router, as client. Applications running on the phone are connected to the same router, so they can communicate locally with the WIFI module. In LAN mode, you have to choose the router you wish to use and provide its password. Important! Many smart gadgets have the so called Smart WIFI Mode, which means that if internet connection is limited on a WIFI network, then it will switch to mobile internet use. In this case, the LAN network will not be available on the phone at some intervals and the same applies to the Kameleon WIFI module. 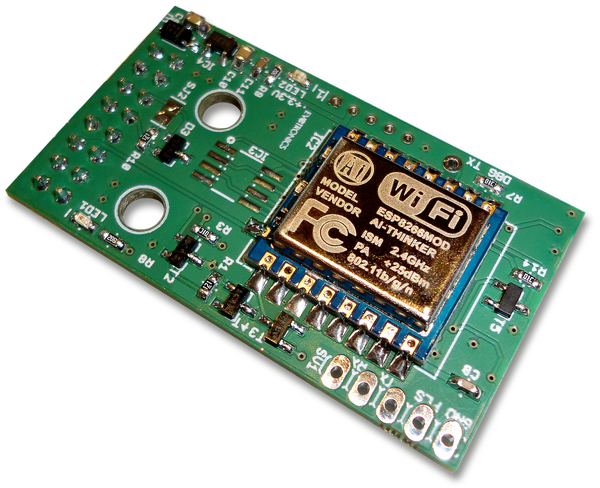 The Kameleon WIFI module is functioning as a so called Hot Spot, functioning as a router, that enables phones to directly connect to it. This operating mode corresponds to a local, serial communication connection between point-point and point-multipoint. In access point mode the user can optionally provide a code, so unauthorized people will not be able to connect to the Kameleon server. Important! 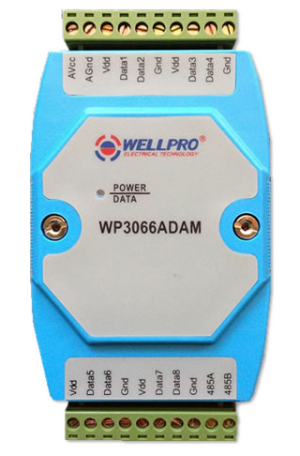 The Kameleon WIFI module does not provide Internet connection, so in this mode Internet connection is not available on the phone through this type of WIFI connection. The Kameleon Bluetooth module is a communication module, which will become available for smart phone applications through Bluetooth connection if the Kameleon Light system is complemented with it. It is enough to place one Bluetooth module into one system, through which the system can be simultaneously controlled from 3 phones. 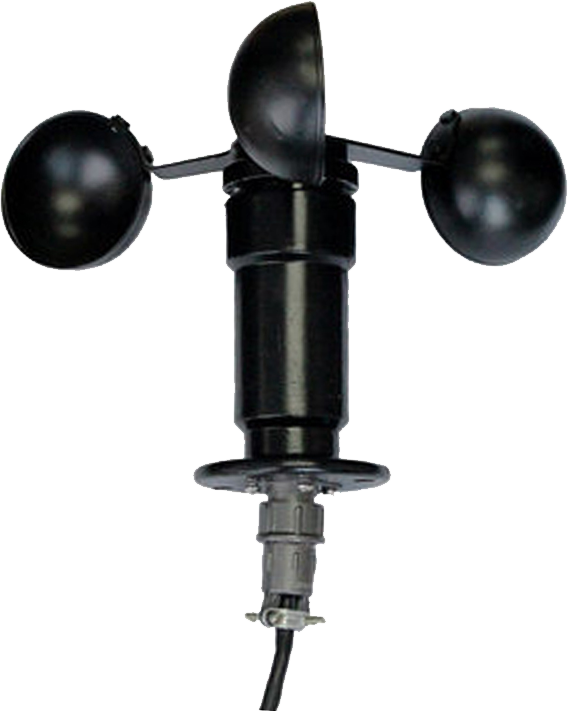 The speed of the wind can be measured with the help of the anemometer sensor, which can be used in the one and two push-button shutter control function of the Kameleon Light. The anemometer connects to the RS485 bus of the module and operates on 24V power supply. Connecting to the Kameleon Light device, it can be activated if the 9. DIP switch is turned on. As a result, in case of winds greater than 40 km/h, the system will automatically close or open the shutters or the shades (depending on the position of the 10. DIP switch). 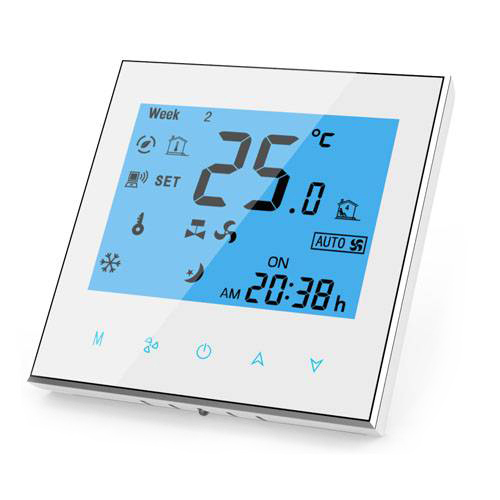 The digital thermostat measures the temperature of a given room in the heating valve or the heating/cooling control modes and the desired temperature can be set with its use. The Kameleon Light module controls the heating system based on the measured and the temperature. When the heating/cooling control is selected the operating mode can be set as well. The inside temperature of the building can be measured with the help of the thermometer sensor even in several rooms within the heating control function, or the outside temperature for the space heating control. The thermometer sensor connects to the RS485 bus of the module and operates on 24V DC power supply. Using the thermometer sensor in case of heating control, the Kameleon Light module is able to operate as a thermostat and the temperature of the measured rooms can be set with the help of the application. The Chameleon modules operate on 24V DC voltage, so a power supply is needed, which will produce the 24V DC voltage from the 230V AC circuit. A Kameleon module uses approximately 300mA when all relays are on, so the power supply needs to be sized properly in the case of a system that consists of more modules. 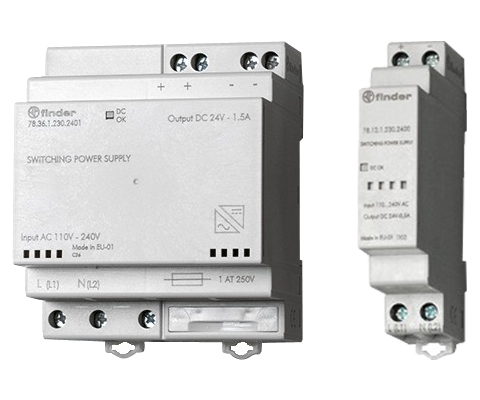 The power supplies are available in 0.63A, 1.7A and 2.8A versions. The 0.63A is 1, while the 1.7A and 2.8A power supplies are 4 appliance unit wide.